Development and economic growth of a region can be seen through the instruments of Gross Domestic Product (GDP) or Gross Regional Domestic Product (GDP). Gross Regional Domestic Product according to expenditure (Expenditure GRDP) is one form of displaying economic data of a region, other display forms such as GRDP according to business fields, Input-Output Tables, Socio-Economic Balance System, and Funds Flow Balance. The method of writing this article uses a literature study, using secondary data as the main data source. The economy of Subang Regency for the period 2013 - 2018 can grow above 4%. In terms of production, the highest economic growth occurred in the Information and Communication category which grew above 6% annually. In terms of final demand, the economic growth of Subang Regency is dominated by growth in the component of Household Consumption Expenditures (PK-RT), which accounts for more than half of the total regency sub-district GDP. CAHYONO, Mr; ALMUJAB, Saiful. ANALISIS PRODUK DOMESTIK REGIONAL BRUTO (PDRB) DAN PERTUMBUHAN EKONOMI KABUPATEN SUBANG TAHUN 2017/2018. OIKOS: Jurnal Kajian Pendidikan Ekonomi dan Ilmu Ekonomi, [S.l. ], v. 3, n. 1, p. 39-48, feb. 2019. ISSN 2549-2284. 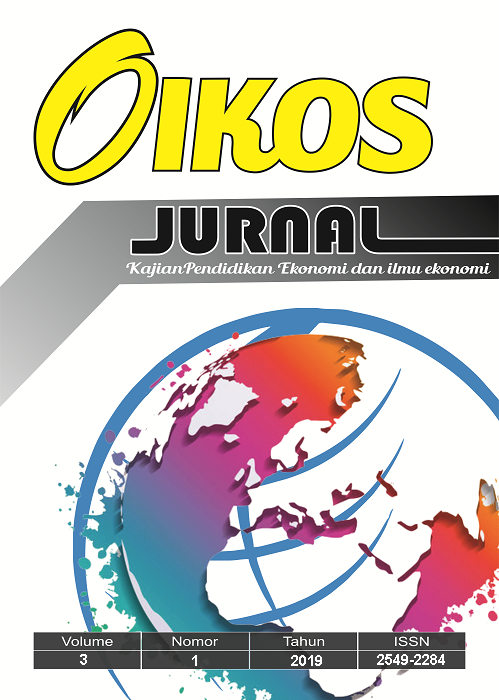 Available at: <http://journal.unpas.ac.id/index.php/oikos/article/view/1407>. Date accessed: 18 apr. 2019. doi: http://dx.doi.org/10.23969/oikos.v3i1.1407.